We'll be playing NAIA Arizona Christian on September 7th as the 1st of our 6 home games. Would've preferred an FCS team but at least it'll be a team we know we can dominate and shake some rust off against. Also if we take care of business with the rest of our schedule it shouldn't effect us making the playoffs. Just look at Lamar last year. 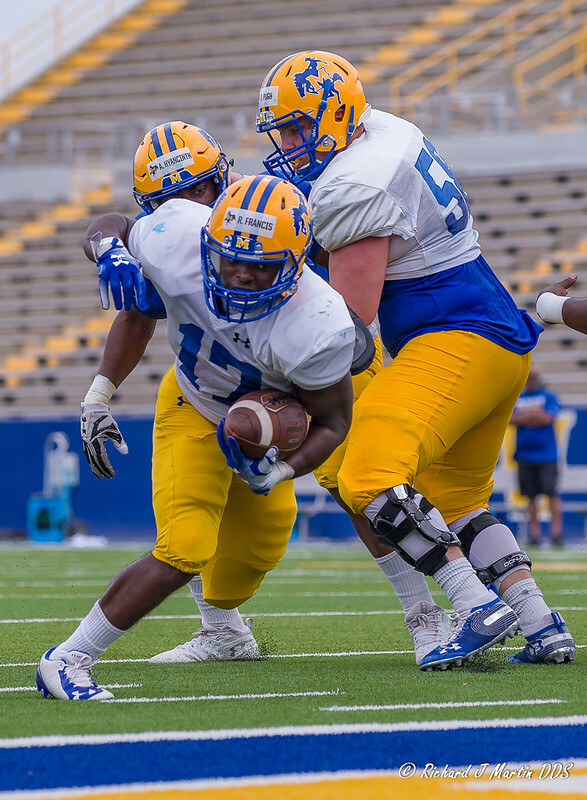 Was able to make it out to the McNeese's second spring scrimmage and got in by using the double secret password (was shooting photos for the SID). I can't tell you anything about the scrimmage or I would have to kill you afterwards. I wasn't totally impressed as they have a long way to go with installing this offense. I was really sorry to miss our Spring game this year. I was out for 3 weeks seeing my family. I have heard good things though. Our coaching staff has switched a few players around to new positions and those switches seam to be working out well. Our new DC is also fitting in well with staff and players. I have heard he tends to be more of a zone defense guy. That will be interesting to watch. Last year we did play a lot of zone, but also switched back and forth many times. We have improved depth on our OL, but still looking for a couple of key guys. So, if our defense is improved to match better offensive weapons I am happy. Most everyone here seems to be of the mind that we are ahead of last year. It will be interesting to see what happens during conference play though. I'm not really happy with scheduling an NAIA OOC game, but if we aren't going to pay squat for a decent team to come play us I can't expect much. I think the NAIA game could very well come back to bite us later. Aside from the typical sloppiness that goes with most spring games, I was pleased with ours and pleased with how the spring went overall. Offensively, we have a chance to be as good as we've ever been. We're much improved on the O-line, and have speed and depth at the WR position, including Tight End. Juwan Petit-Frere had a great spring, Bransen Schwebel is a stud at TE and getting NFL attention, and Lorenzo Nunez making the complete transition to WR is taking well to the change of position. Plus we have Austin Mitchell and C.J. 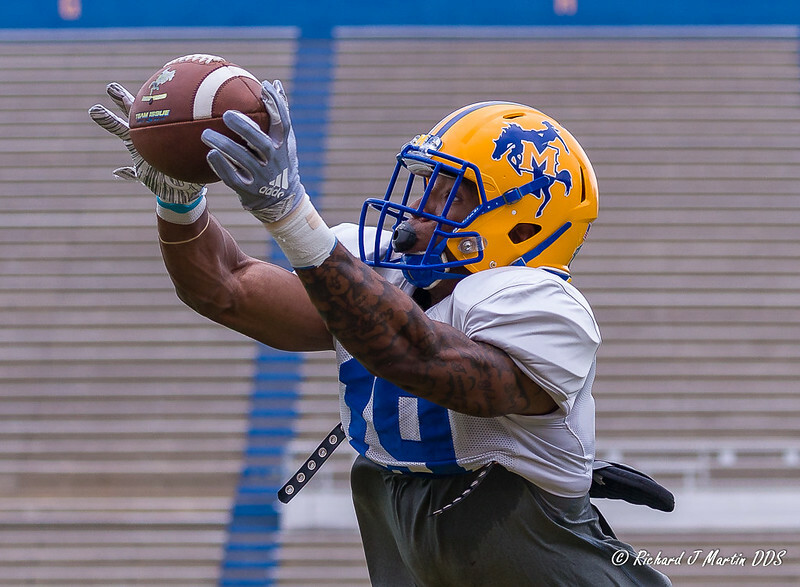 Turner back, and add another deep threat in Anthony Spurlock. At RB, Marcus Cooper is back to 100% and we return Devonte Williams. The QB competition was intense and should carry over into the fall. Both front runners (Chason Virgil and Cole Kelley) had strong springs and plenty capable of leading the offense. Defensively, it's more wait-and-see but should be improved, if for no other reason, we can't play much worse. 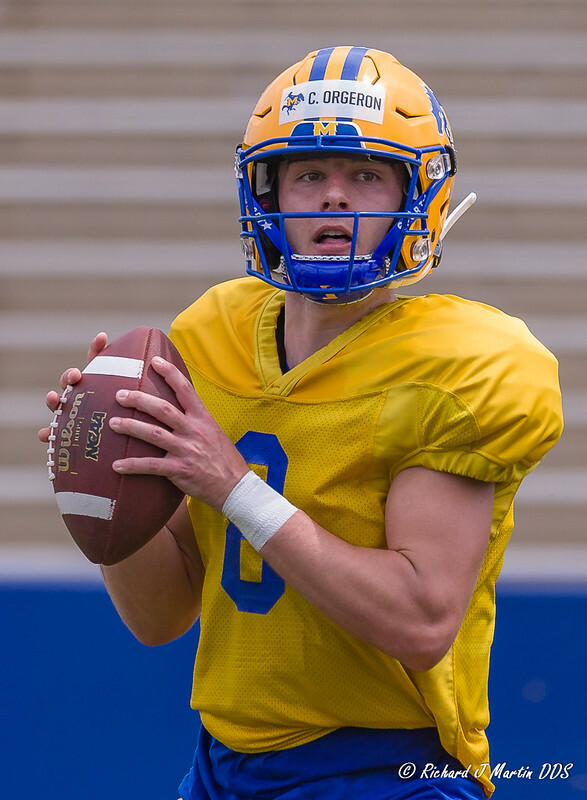 Lance Guidry has brought a new scheme and renewed enthusiasm, and it feels like we're back to normal on that of the ball. We're improved up front on the D-line. We add U Virginia transfer DL, Steven Wright, who had to sit out last year, and Isaac Adeyemi-Berglund and Josh Carr will slide down to DE in the four man front. Plus we have just about everybody else back ... pass rush shouldn't be an issue. We have two good corners and some good young safeties but are thin at LB ... will likely need to hunt for a transfer LB or two over the off-season, or rely on help from a couple of incoming freshmen. Recruits get to see a campus that looks like THIS in the Spring! Nice. 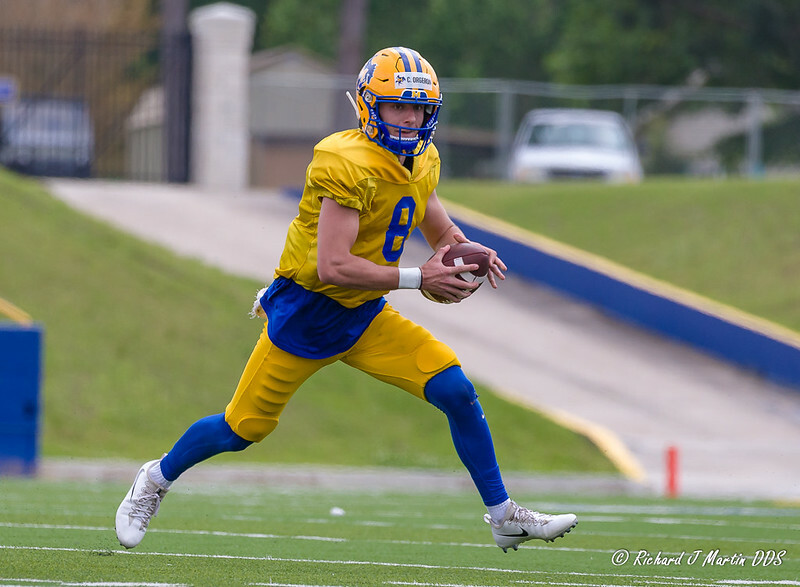 McNeese update: We had a Spring Game (really just a scrimmage). I didn't get to go and take photos. And from what I hear, we have a lot of room for improvements. 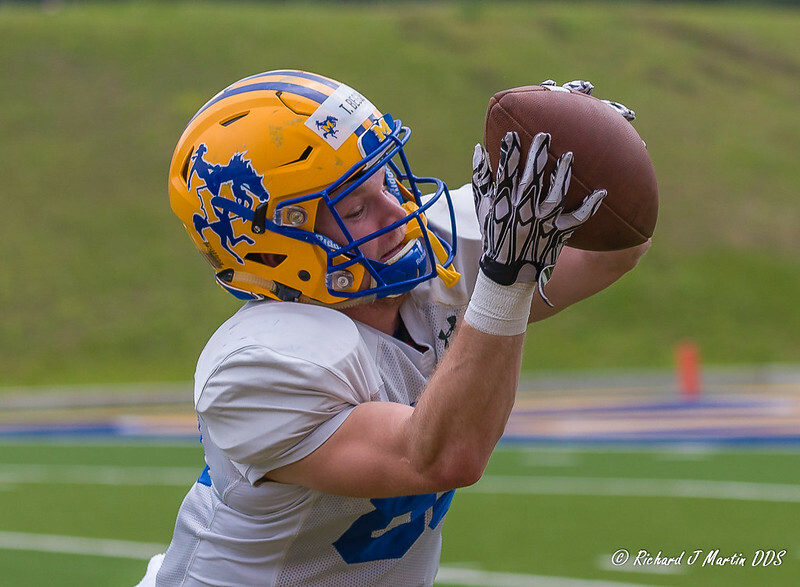 Well, they are definitely changing things up at McNeese.